23andMe announced that it has added a new Genetic Risk Report for G6PD Deficiency. It looks for one genetic variant linked to episodes of anemia. G6PD stands for “Glucose-6 phosphate dehydrogenase deficiency”. It is a genetic disorder that occurs almost exclusively in males. It affects red blood cells, which carry oxygen from the lungs to tissues throughout the body. A defect in an enzyme called glucose-6 phosphate dehydrogenase causes red blood cells to break down prematurely. Glucose-6 phosphate dehydrogenase deficiency results from mutations on the G6PD gene. This gene provides instructions for making an enzyme called glucose-6 phosphate dehydrogenase. This enzyme is involved in the normal processing of carbohydrates. It also protects red blood cells from the effects of potentially harmful molecules called reactive oxygen species, which are byproducts of normal cellular functions. Chemical reactions involving glucose-6 phosphate dehydrogenase produce compounds that prevent reactive oxygen species from building up to toxic levels within red blood cells. If mutations in the G6PD gene reduce the amount of glucose-6 phosphate dehydrogenase or alter its structure, it can no longer play its protective role. 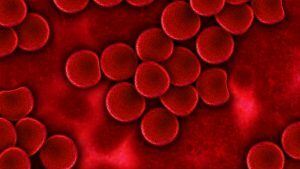 Reactive oxygen species can accumulate and damage red blood cells. The condition is inherited in an X-linked recessive pattern. In males, who have only one X chromosome, one altered copy of the gene in each cell is sufficient to cause the condition. In females (who have two X chromosomes), a mutation would have to occur in both copies of the gene to cause the disorder. Fathers cannot pass X-linked traits to their sons. Mothers who carry a mutated G6PD gene can pass it onto their sons, and also to their daughters. 23andMe says men are more likely to have G6PD deficiency than women. About one in ten African American men is affected by this condition. 23andMe’s test doesn’t diagnose G6PD deficiency. Instead, it detects the most common variant linked to G6PD deficiency in people of African descent. This variant can also be found in people who are only partly of African descent, including people of Hispanic or Latino descent. In people with no African ancestry, the variant is rare. G6PD deficiency also impacts people with Mediterranean, Middle Eastern, and Asian ancestry, but 23andMe’s test does not include other G6PD variants that are more common in people of those ethnicities. 23andMe’s new Genetic Health Risk Report for G6PD Deficiency is one of nine Genetic Health Risk reports now offered to new and existing Health + Ancestry Service Customers. 23andMe’s Genetic Health Risk reports are the only direct-to-consumer genetic health risk reports authorize by the FDA.